It’s always fascinating to think about how we are able to perceive the gazillion, bajillion molecules that make up our world and give names to the various objects and life forms in attempt to understand it all. 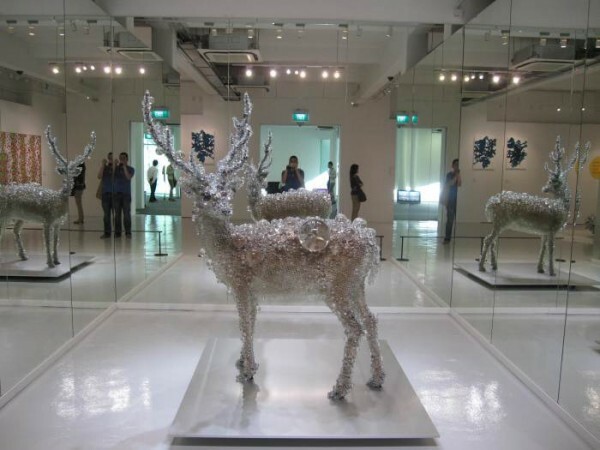 Japanese sculptor, Kohei Nawa plays on this notion, switching up the viewer’s perception of objects by altering the surface. In this set, called PixCell, he covers the stuffed animals in crystal clear beads which magnify and distort different portions and give the appearance of molecular structure and computer screen pixelation.